Muktinath Temple Tour: One of the famous Nepal Tour Package among Hindu and Buddhist, Muktinath Tour is a very popular pilgrimage tour in Annapurna Conservation Area of Nepal. The Muktinath Temple is situated at an altitude of 13,000 feet above sea level in Mustang district and is also known among the Hindus as Mukti Chhetra, or the "abode of salvation". In this Muktinath Tour, you will be visited a small pagoda-style temple of Lord God Vishnu which is worshipped by both Hindus and Buddhists. The Buddhists worship the deity as one of the Bodhisattvas and Mukti Kshetra by Hindus. 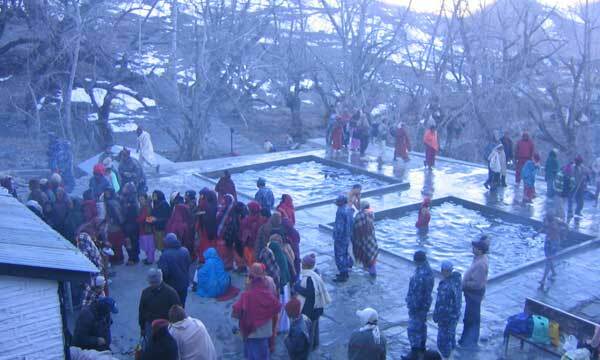 There are 108 sacred water spouts flowing with icy cold water where devotees take a quick bath. Nearby is the temple of Jwala Mai, or the Goddess of Flame, with the phenomenal underground blue flame. 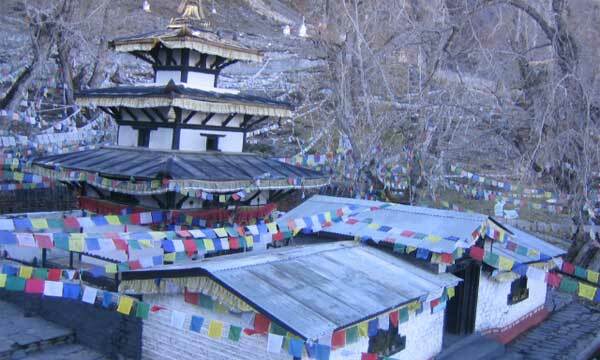 Where is Muktinath Temple located? 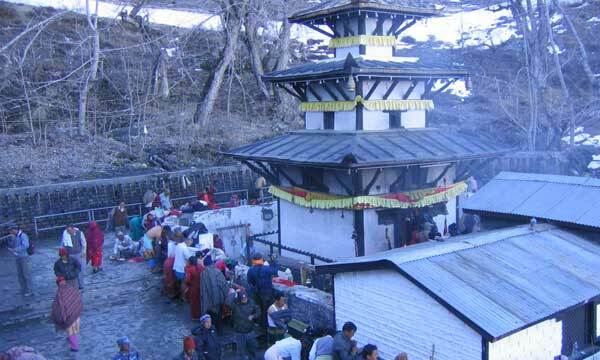 How to go to Muktinath Temple? Muktinath Temple can be easily reached just in one day by taking 15 minutes flight from Pokhara to Jomsom then, one and half hour jeep drive up to the Ranipauwa and walk for 20 minutes up to the temple. One can also hire a single 4W Jeep from either from Kathmandu (3 days) or from Pokhara (2 days) to Muktinath. How high is Muktinath above sea level? What should I carry during Muktinath Tour? Is there any direct flight from Kathmandu to Muktinath? Is there any direct bus service from Kathmandu to Muktinath or Jomsom? 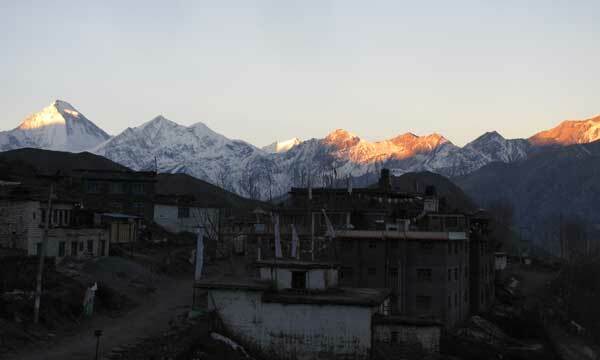 What types of hotels can I expect during Muktinath Yatra? Do I get vegetarian foods during Muktinath Darshan? Places to visit at Muktinath? Do I need to obtain any permits to visit this temple? Which are the best months to travel? In this Muktinath Tour trip, you will be driving from Kathmandu to Pokhara by Tourist Bus on the first day. Next day fly to Jomsom and drive to Ranipauwa (Jeep Station). 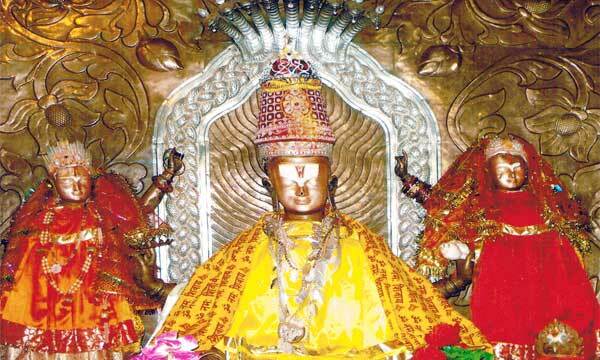 Muktinath Temple is within half hour walking distance from here. People unable to walk can ride on the horse (extra payable). Take a holy bath under 108 water springs and two Kunda (holy ponds). Change clothes and worship Vishnu God Temple. After darshan and pooja visit another important Jwalamai Temple where water, fire, and sky meet together. Then, drive back to Jomsom and stay overnight here. The fourth day flies back to Pokhara and explores beautiful Pokhara city. Finishing the Muktinath Darshan trip drive back to Kathmandu. Visit the tourist attraction places in Kathmandu Valley and departure to the airport to fly back to your home. Our 7 days itinerary goes as follows. You will be welcomed by our representative and transfer to hotel, 7 km. 6:00 AM: Breakfast at hotel. 6:30 AM: Drop to Bus Station. 7:00 AM: Drive to Pokhara by tourist bus, 206 km - 7 hours. Day 03: Fly from Pokhara to Jomsom & drive to Muktinath, Visit Temple & back to Jomsom. Arrival and hike for half hour to catch jeep. Drive to Muktinath by local sharing jeep. Day 04: Fly from Jomsom to Pokhara & Pokhara Sightseeing. Arrival and proceed for sightseeing. Visit Bindabasini Temple, Seti Gandaki River, Devis Fall, Gupteshwor Mahadev Cave and Barahi Temple at Fewa Lake with boating. Day 05: Drive from Pokhara to Kathmandu. 7:00 AM: Drop to the bus station. 7:30 AM: Drive back to Kathmandu by tourist bus. Day 06: Kathmandu Day Sightseeing. 10 AM: proceed for Kathmandu sightseeing. 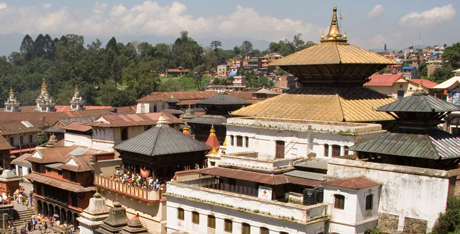 Visit Pashupatinath Temple, Jaal Narayan (Sleeping Vishnu God), Swoyambhunath Temple and Kathmandu Durbar Square. Above mentioned Muktinath Tour itinerary is highly customizable as per client's requirements. Lumle Holidays also offers Muktinath Yatra by Helicopter from Kathmandu or Pokhara, Contact us for more information. One time airport Pick up and drop by private car. Twin bed sharing hotel accommodation in two-star category hotels. Bus station picks up and drops by private car. Kathmandu to Pokhara and back by sharing tourist bus. Jomsom to Muktinath and back on local sharing jeep. 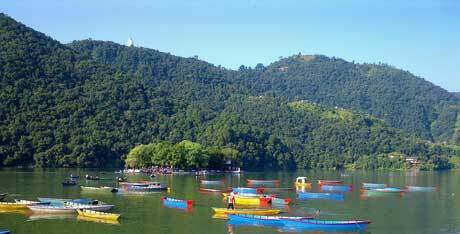 Kathmandu and Pokhara sightseeing by private car. Lunch, Dinner, and Bar bills like mineral water, beer whiskey etc. Extra expenses in case of Pokhara/Jomsom/Pokhara flight cancellation.